Simple, clean and does the job...The Hadid Table Base is modeled after standard table bases. 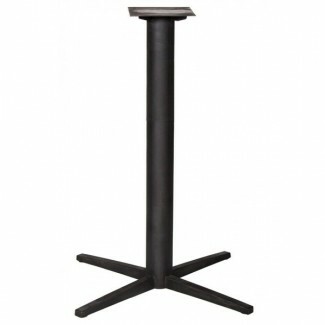 This pedestal base has 4-Prong legs that taper into a point adding a little bit of detail to your space. Fully welded and tastefully designed, the Hadid Table Base will elevate your tabletop to new heights! This base is available in our natural iron finish.